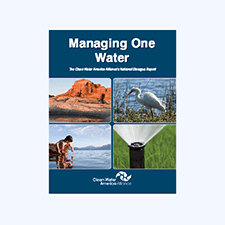 As part of our mission to support and accelerate innovative One Water management strategies, educate and inspire people about the value of water, and celebrate leadership in sustainable water management, the US Water Alliance has issued the following publications. Read about the National Blue Ribbon Commission's highlights and accomplishments, including publications, research accomplishments, policy impacts, and more. 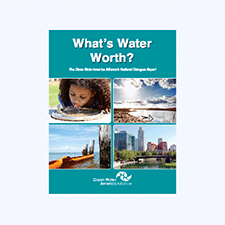 This document was developed by the Buffalo Water Equity Taskforce to outline challenges, promising practices, and priority actions for Buffalo's water. April 2019: Share this resource to demonstrate broad bipartisan support for investing in water infrastructure. New 2019 poll shows Americans support investing in water infrastructure, and they want a proactive program of reinvestment rather than waiting for these critical systems to fail. 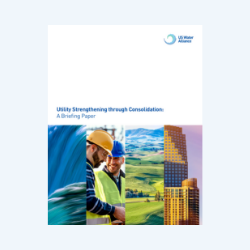 This report focuses on the role of utility consolidation in advancing sustainable water management in the United States. 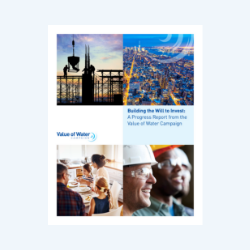 This report summarizes the progress made by the Value of Water through its three-year strategy. 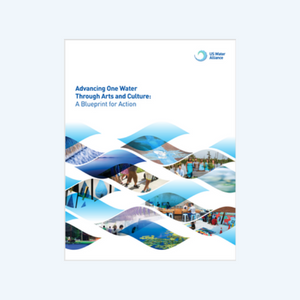 Read our analysis and case studies on strategies to use art and culture to advance sustainable, integrated, and inclusive management of our nation's water resources. 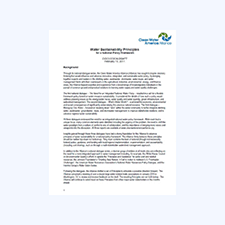 The National Blue Ribbon Commission developed this report to help water and wastewater utilities, local government agencies, and other interested stakeholders understand the benefits and drivers behind onsite non-potable reuse, how other utilities have addressed potential challenges, and best practices for the ongoing operation of these systems. As a place that is rich in water resources, and has been ground zero for serious water crises, the Great Lakes region exemplifies the challenges and opportunities inherent in our water systems. It is also home to inspiring leaders in the movement for social and economic equity. 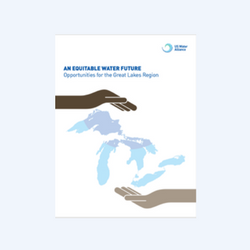 This report highlights the strategies being developed in the Great Lakes to ensure that our water systems provide services and opportunity to all people, and creates a shared vision for the region’s future. 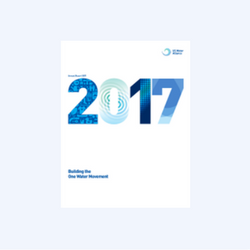 2017 was a great year for the US Water Alliance. We moved several strategic initiatives forward, including work on equity in water, nutrient reduction, and our One Water For America Listening Sessions. More than 650 people joined us in New Orleans for our One Water Summit, and we announced our One Water Summit 2018 will be in the Twin Cities. The Value of Water Campaign continued its success in educating the nation about why water infrastructure is worthy of investment, and we had more than 750 organizations join our Imagine a Day Without Water advocacy day. Much is on tap for 2018, and we look forward to making it the year of water! 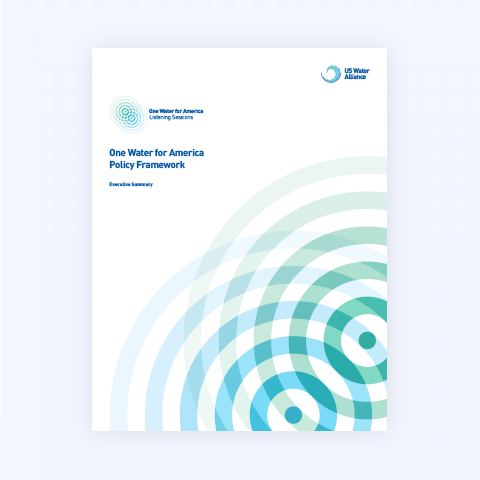 Executive Summary of the One Water for America Policy Framework – a seven-part series of policy briefs that pair issue discussions with innovative and groundbreaking solutions developed from nearly 500 people at 15 different listening sessions. 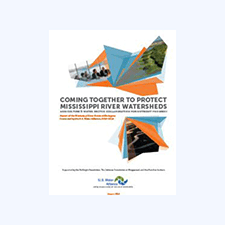 This guidebook establishes water quality criteria and standards for ONWS and presents pathways for implementation and managment of these water systems at the local and/or state level. Nutrient pollution is a complex and massive problem for our nation’s waters. To forge large-scale progress on nutrient pollution, we are going to need a new approach that is more strategic and holistic in its structure and execution. 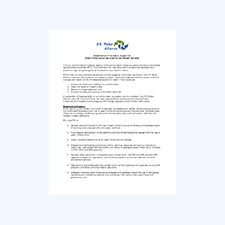 This policy brief was developed by the US Water Alliance, the National Association of Clean Water Agencies, and the Water Environment Federation. 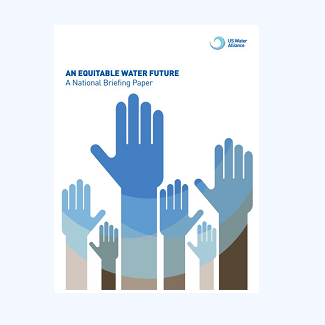 This report presents a water equity framework, drawing on the wisdom and innovation of hundreds of leaders from across the public, nonprofit, and private sectors. 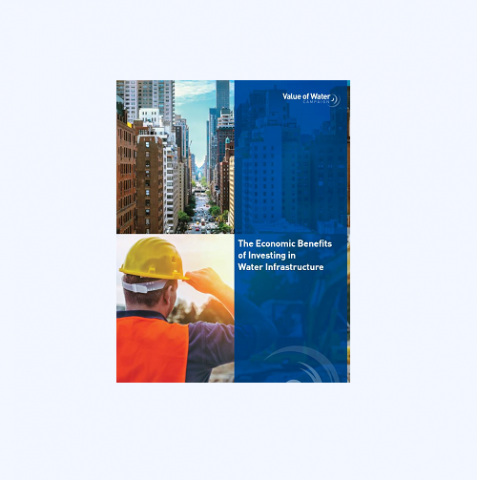 Report on the economic benefits of investing in water infrastructure finds that if we close the investment gap for water infrastructure, there is a ripple effect of sustained job creation, GDP growth, and more. It’s been a remarkable year for the US Water Alliance. Guided by a restructured board of directors and new Chief Executive Officer, the organization has developed a threeyear strategy and aligned its programming around that vision. A surge in new members and financial supporters— coupled with new staff with diverse backgrounds and expertise—has enabled us to expand our capacity to take on projects that address the most critical water issues facing the nation. We are furthering our reach and impact, bringing new stakeholders to the One Water table, and building strong partnerships for progress. 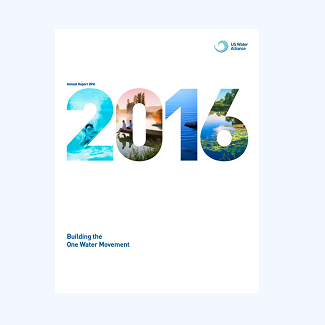 We hope you enjoy reviewing our 2016 Annual Report as much as we’ve enjoyed our One Water movement building this past year. Cheers to an even greater 2017! The One Water Roadmap: The Sustainable Management of Life's Most Essential Resource is a guide to changing the way water is managed in America. 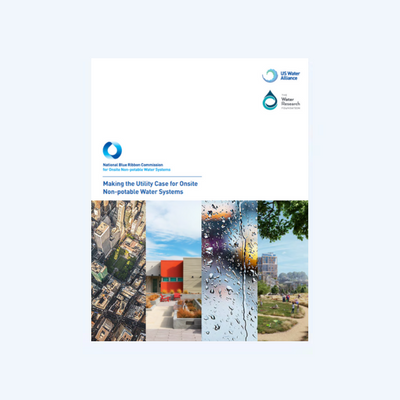 The roadmap outlines a bold approach for tackling our biggest water challenges. The roadmap outlines six arenas for action where we are making progress: Reliable and Resilent Utilities, Thriving Cities, Competitive Business and Industry, Sustainable Agricultural Systems, Social and Economic Inclusions, and Healthy Waterways. 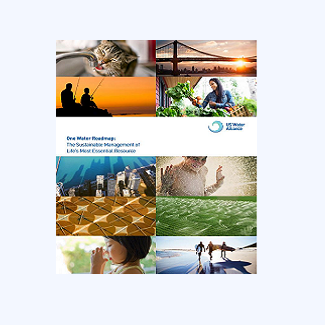 Executive Summary of the One Water Roadmap: The Sustainable Management of Life's Most Essential Resource. 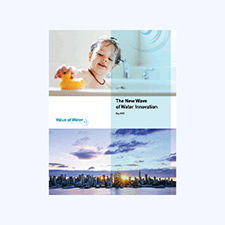 Issued during Infrastructure Week 2015, this paper by the Value of Water Coalition spotlights innovative solutions to the nation’s growing water challenges through capital investments, technological innovations, creative financing tools, and cross-sector partnerships. 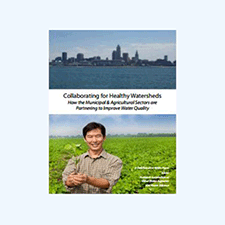 This paper identifies successful practices and models for successful municipal-agricultural collaborations that improve watershed health through case studies that focus on solving nutrient over-enrichment in our waterways and groundwater. With support from the McKnight Foundation, The Johnson Foundation at Wingspread, and Meridian Institute, hosted the Mississippi River Nutrient Dialogues, the US Water Alliance convened a series of conversations with water and wastewater utilities, agriculture leaders, environmental organizations and state/federal officials to how to reduce excess nutrients in waterways. In a world of increasing competition for scarce resources (including water, energy, and food) our future will depend increasingly on recycling and recovery of key resources. 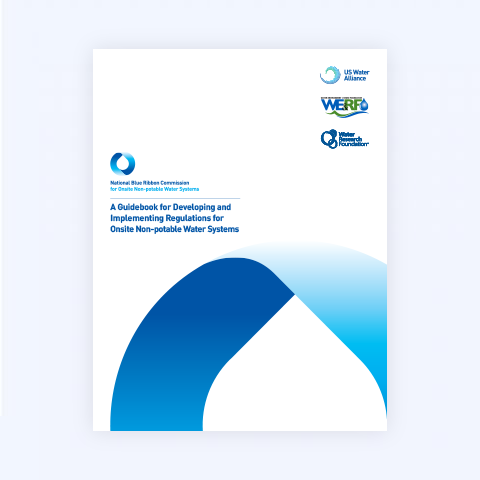 This guiding document uses our one water values to endorse policies, strategies, and regulation to advance resource recovery. Stormwater regulatory reform has the potential to prevent a major growing source of pollution in our nation’s waters. In alignment with the US Water Alliance’s one water vision, this statement of principles supports green infrastructure approaches. 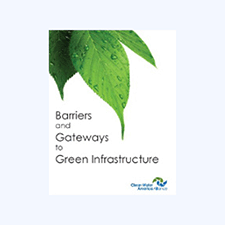 Informed by green infrastructure research and education programs of the Alliance, this paper provides recommendations developed with partner organizations including American Rivers, The Conservation Fund, Low Impact Development Center, and Smart Growth America. 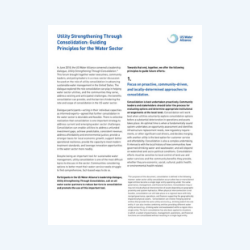 The US Water Alliance’s Water Sustainability Principles for a National Policy Framework, developed through several national dialogues, outlines a flexible framework to inspire visionary one water sustainability thinking and influence innovative, integrated and sustainable water policy. 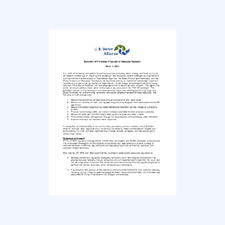 The report summarizes the National Dialogue held by the US Water Alliance in Los Angeles, CA on September 27-28, 2010. The Dialogue focused on best practices, barriers and solutions for better integrating a one water management. The report summarizes the national dialogue held in Washington, D.C. on March 25-26, 2010. The dialogue focused on how water is valued in various industries in the United States, including energy, agricultural, ecological, municipal, and industrial. 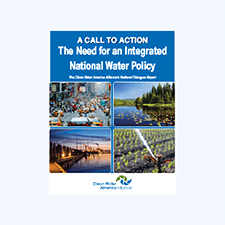 In September 2009, the Alliance hosted its first national dialogue which brought together nearly 30 leaders in the water community to discuss one water sustainability. 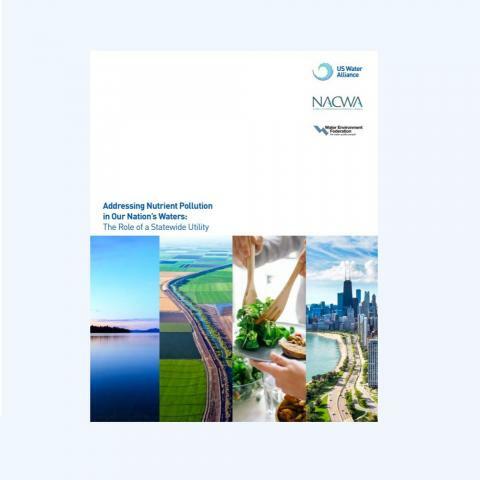 This report summarizes the discussion on increasing challenges to adequate supplies of clean and safe water that meet the demands of energy production, agricultural expansion, and population growth.